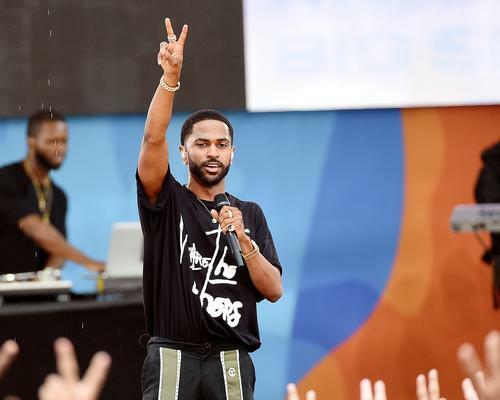 Earlier this year, Big Sean decided to cancel his tour in order to make sure he was taking care himself. In an interview with Billboard prior to the Detroit rapper's Motown Museum benefit, Sean expanded on his choice to focus on himself, which is as much about self-care as it is about being creatively inspired; something Kanye West has shown him. "I've just been taking a little more time f for myself and recording, getting my album right," he said his current schedule. "I felt like that was more important (than touring). I've been around a lot great people when they make their albums -- for example, Kanye, he's not doing anything else while he's making his album. He's 100 percent focused. So I can't tour and do all that and expect to get out the type product I want to have out because I'm not giving 100 percent my energy to it." According to Sean, making the time he needs to get in the zone has had an audible impact on the songs he's producing. "My music is] the best it's ever sounded," he said. "I have been taking better care myself and...not only am I bringing my best self to the music but I'm bringing my best self to the table, to my city, to my fans, to the people who are about me." Sean was also asked about the death controversial rapper XXXTentacion, whose unexpected passing at age 20 has shaken the world hip-hop and raised questions about how alleged abusers are mourned. "I don't feel anybody deserves to die young, especially if it's a senseless act violence," he said. "Nobody's deserving that. I feel like he was a raw, talented artist and I feel that we only saw a glimpse it. He has real fans and real people that love him, so I'm sure he's gonna live on forever." in 2016, Sean released the back-to-back albums I Decided. and Double Or Nothing, the latter being a collaborative effort with producer Metro Boomin. Most recently, Sean appeared on YG's "Big Bank" single alongside Nicki Minaj and 2 Chainz.